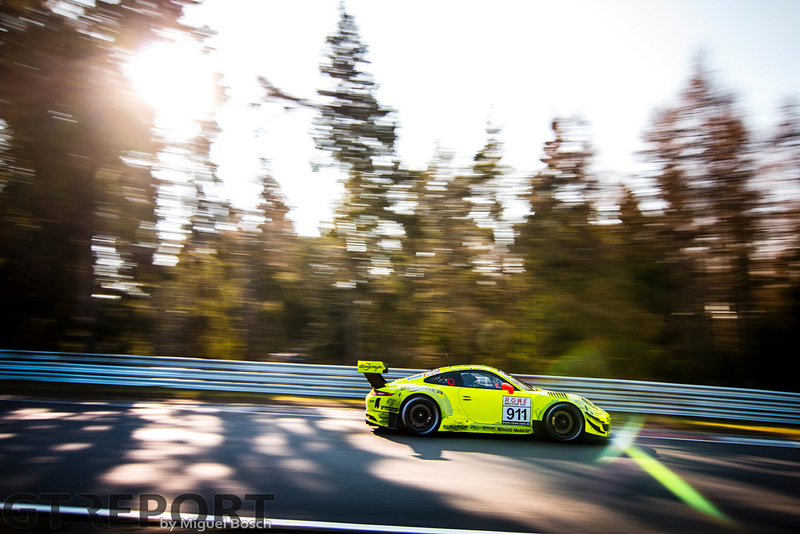 Armed with the Porsche 991 GT3R Evo model, Manthey Racing didn’t come to play games in the run-up to the 24 Hours of the Nürburgring. Making its intention clear in qualifying and doubling down with the 64. 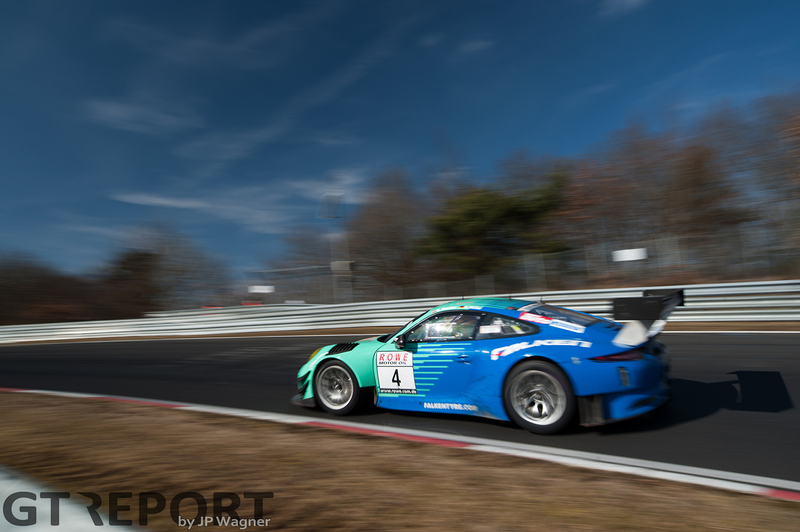 ADAC Westfalenfahrt race win, the Porsche squad started the new VLN year in the same fashion as they ended last year, their song of success far from over. When Saturday morning’s qualifying is over, the number 911 Manthey Racing Porsche 991 GT3R ‘Grello’ once again stands atop the time sheets, claiming pole position courtesy of Laurens Vanthoor’s 8:03.070 qualifying lap. Vanthoor doesn’t get long to enjoy his performance: two hours later he’s back in the car for the start of the race. 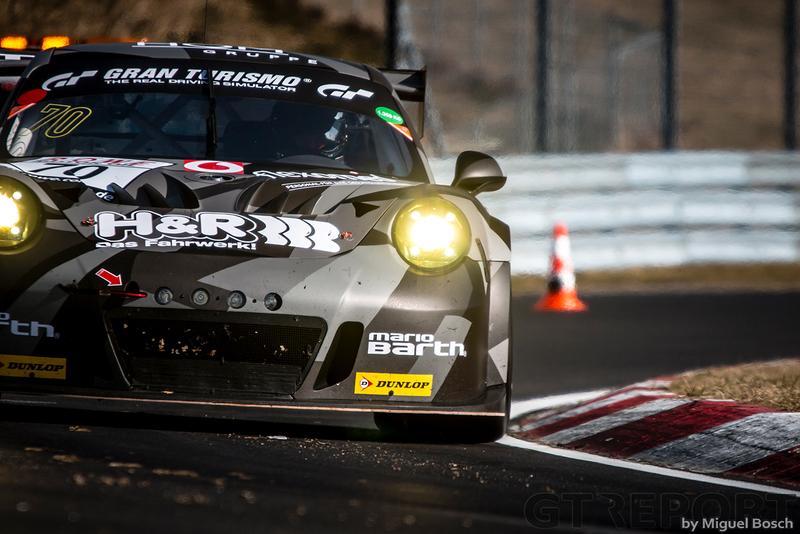 VLN’s front row is a familiar place for the Porsche works driver. He has been here before, a year ago. 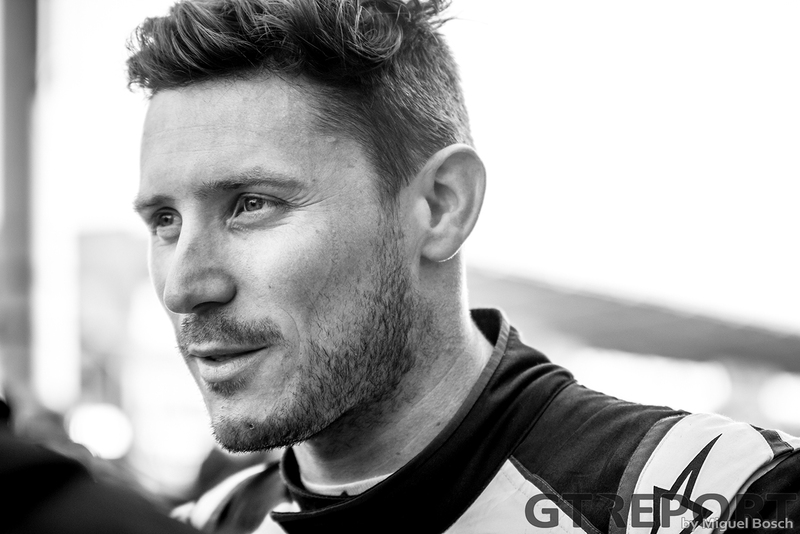 Back then he sat in the Falken Porsche next to ‘Grello’ on the front row, starting from second place. 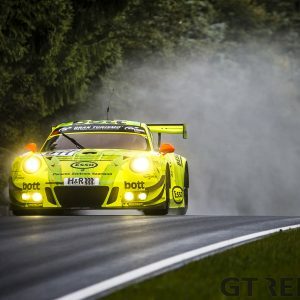 The Belgian was on his way to win the race, his first with Porsche at the Nordschleife, when under pressure from Patrick Pilet in the Manthey Porsche he made a fatal mistake in the final laps. That isn’t going to happen again today. Now he is the one behind the wheel of Grello, sharing her with Earl Bamber and Kévin Estre. 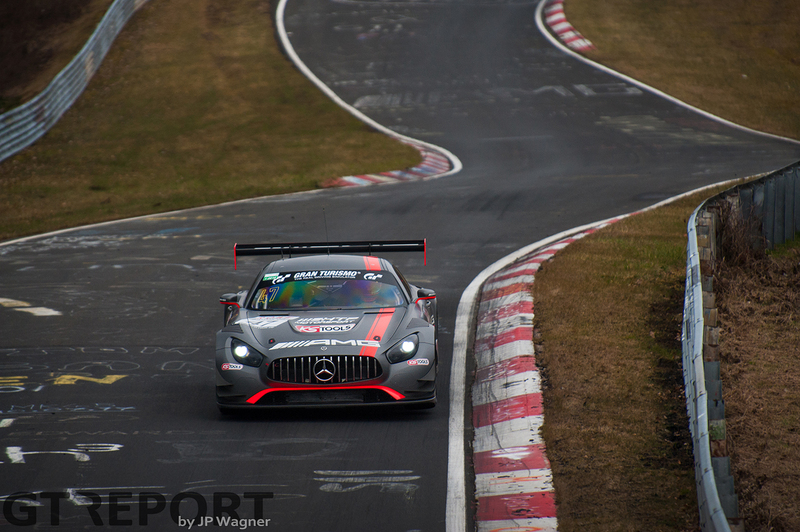 Instead, Vanthoor flies off into the distance at the start, leaving Oliver Kainz in the Wochenspiegel Team Monschau Ferrari 488 GT3 and HTP Motorsport Mercedes-AMG GT3 pilot Renger van der Zande scrambling to keep up for the rest of the stint. Throughout the first hour the top three cars break away from the rest of the field, helped by Jonathan Hirschi in the Walkenhorst Motorsport BMW M6 GT3. 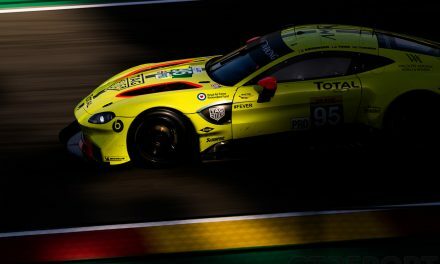 The Swiss driver, despite his limited Nordschleife experience, fends off endless attacks from a group of seemingly faster GTs, but does hold up the group in the process, playing into the hands of the three leaders. 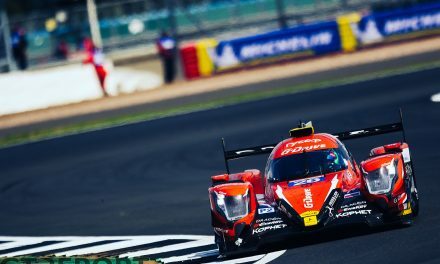 HTP opts for two shorter stints for Van der Zande, hoping to profit from the shorter mandatory pitstop times when travelling less distance between stops. 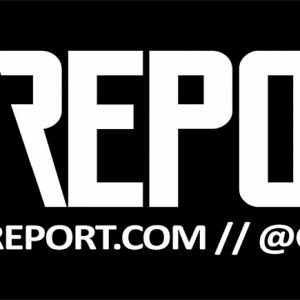 It doesn’t fall their way, however: Earl Bamber’s pace in the Manthey Porsche over the second stint is too high for HTP to stay ahead of after the second round of pitstops. 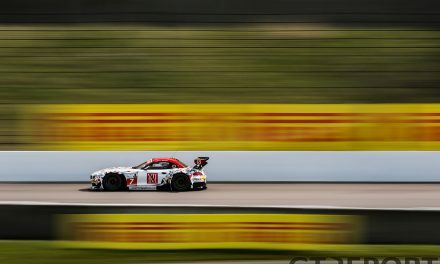 When Van der Zande hands the HTP AMG over to Dominik Baumann, the Austrian joins in second place. 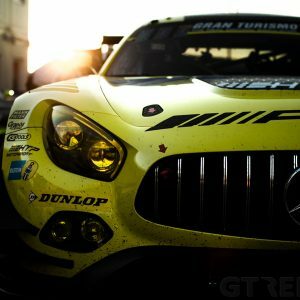 Always stopping two laps earlier than the others around them, the AMG crew is unable to pull the race their way, eventually dropping back to finish fifth. 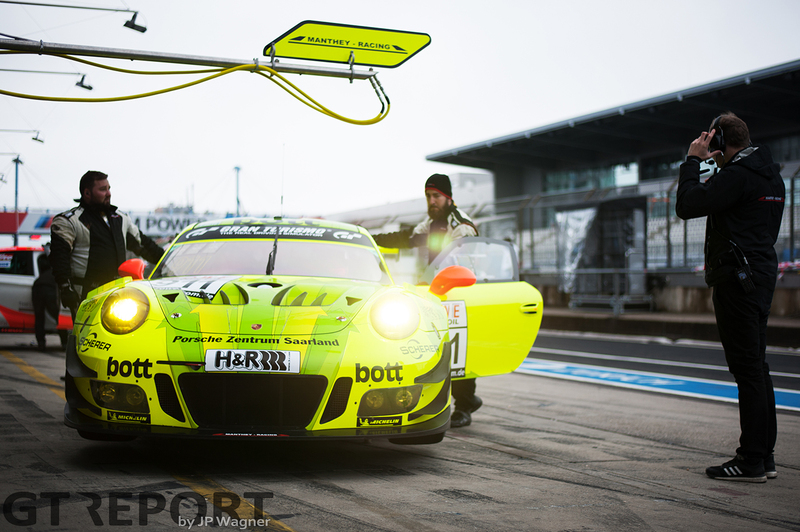 From there on it’s smooth sailing for Manthey Racing. Kévin Estre, assigned to drive the second half of the four-hour race, does have to watch his mirrors early into his first of two stints when after some confusion at Döttinger Höhe the top five bunches up in a yellow flag zone which some drivers mistake for a Code 60 zone. But that’s the closest to the back of the neon-coloured Porsche anyone’s going to get today. 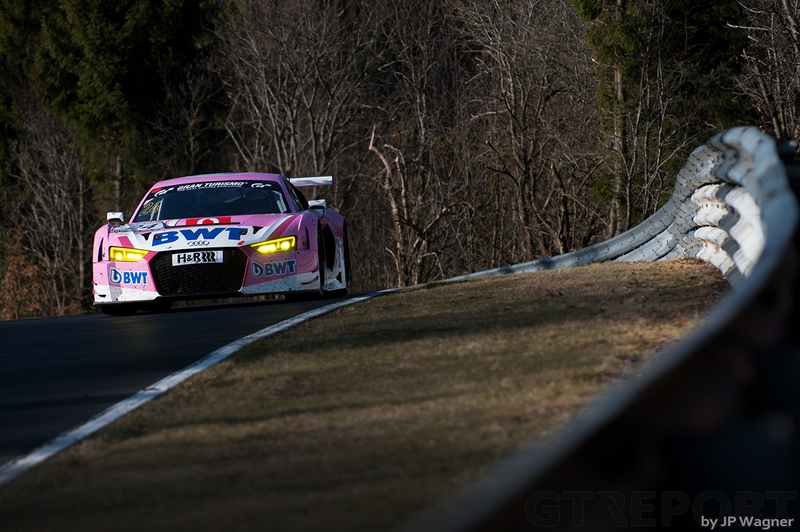 In full control of the race, Estre maintains the pace set earlier by Vanthoor and Bamber and races to the finish. The Frenchman squeezes in one more lap, causing problems for teams who didn’t calculate the unexpected extra lap into their fuel strategy. But that’s none of Manthey’s concern: the Porsche team takes the first chequered flag of the season in victory, mirroring their start of 2017 and solidifying Porsche as the marque to beat this year. 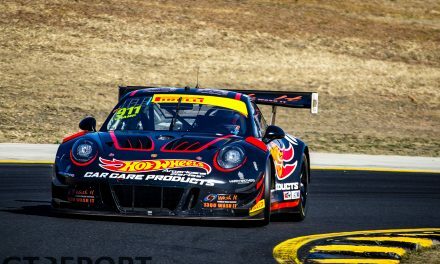 Mücke Motorsport comes home in second. Christened ‘Audi Sport Team BWT’ after its partners, the Berliner team lets Nico Müller take over from Markus Winkelhock for the dash to the finish. With half an hour left on the clock, the young Swiss single-handedly pushes the Audi R8 LMS GT3 from fifth to second place and onto the podium. In just a handful of laps he closes a 25-second gap to the Falken Motorsports Porsche 991 GT3R, who’s relegated to third after Klaus Bachler in the confusion of a late Code 60 zone misses the green flag and is passed by Müller.